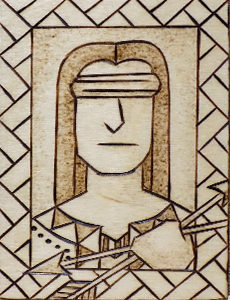 Höðr is attested in the Prose Edda and the Poetic Edda. He also appears in the Gesta Danorum, although in a bastardized form. Höðr is thought to be a god of darkness, and is the the twin brother of Baldr, the god of light; and thus the son of Óðin and Frigga. Like Baldr, many understand him to be an ally and honoured guest of, Hel. 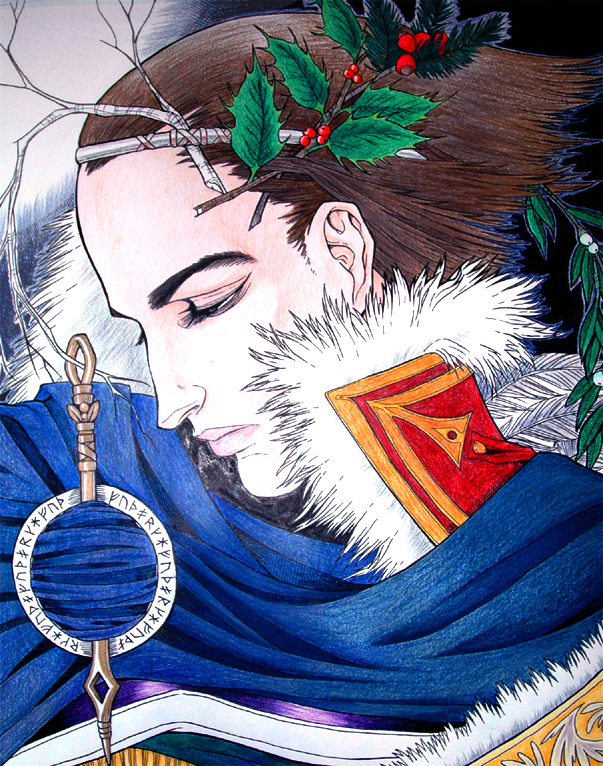 Like Ullr and Skaði, he is a god of Winter and of the cold. He is not mentioned much in the lore, and there is no evidence of a cult associated specifically with him. While he is counted among the twelve ruling gods of Ásgard according to Snorri, he is never mentioned without a connection to Baldr. It is by Höðr’s hands that the greatest tragedy in Norse cosmology occurs, and despite obvious trickery, Höðr bears this burden alone. He is killed for his accidental role in the death of his brother. Later on, it becomes clear that Höðr was framed by Loki, who gave him the one object that could hurt Baldr: a dart made of mistletoe. Although he does atone for his role in Baldr’s death, as the ancient Norse custom of blood vengeance must be upheld even by the gods, his death seems only to add to the sorrow of Ásgard. Höðr follows his twin in death and becomes Baldr’s companion in the underworld. Further, Höðr is one of the gods who survives Ragnarök, and comes to rule by his brother’s side. This story seems to make clear that what happened between the brothers was not an act of animosity, but a horrific accident, and one that is forgiven. Höðr is, at the end of things, a god of of the betrayed. The tale is truly tragic. Saxo Grammaticus tells us another story of the brothers in the Gesta Danorum, from the point of view of Höðr, who he calls Hotherus. In this story, it is Hotherus who is depicted as the protagonist, who defeats Balderus and wins the hand of the princess Nanna. In modern Norse paganism, Höðr is honoured and worked with as a companion deity to Baldr. It is tradition to pay homage to one when honouring the other, as well as the goddess Nanna. They are descendants from an older Indo-European deity pair, known simply as “The Twins.” Some have noticed that there are notable similarities between Höðr and Baldr, and the Celtic Holly and Oak King who trade places during the turning points of light and dark during the solar year. Blindfolds, blindness, closed eyes, and blind motifs. Darkness, shadows, and eclipses. The cold, Winter, and the Winter Solstice. Mistletoe.